South Africa’s champion low-cost airline kulula.com has teamed up with Cape Town Tourism to inspire and enrich all South Africans this winter. Until the end of August, kulula.com aims to give all travellers more reasons to fall in love with Cape Town and visit the multi-awarded African city. 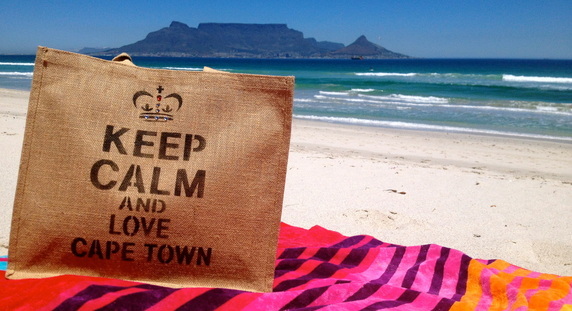 “Cape Town is not only one of South Africa’s gems, but also a firm favourite with international guests. The city attracts and accommodates every taste and personality out there and with its global outlook there are many reasons to love this vibrant city. We know that travellers are always searching for places that resonate with them, and Cape Town will do exactly that,” says Desmond O’Connor, Head of kulula Holidays. That’s why, he explains, Cape Town Tourism chose to partner with kulula.com: the Love Cape Town City Breaks campaign is geared to attract more visitors to Cape Town. All packages from kulula.com include flights, superb three- to five-star accommodation and car hire. “If you’re stuck with deciding what to do once you arrive, then Cape Town Tourism has done all the planning for fans with some super suggestions on excursions and itineraries. These cater for particular preferences, such as outdoor experiences, sport, food, shopping and much more. And if you need to fly in from other regional areas, such as Namibia, we have you covered too. “South Africa’s tourism industry is buzzing with great opportunities and this partnership is just another one of those, where most importantly we want to give South Africans the opportunity to visit the fantastic city of Cape Town at prices that are affordable for all. This will boost our domestic tourism and make the South African Tourism industry even stronger than it already is,” says O’Connor.